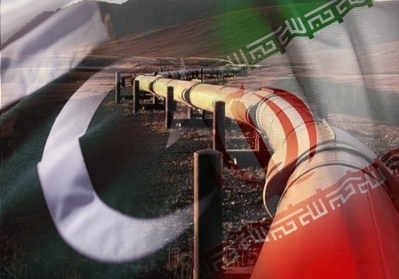 Iran has denied extending the completion date of the Iran-Pakistan (IP) gas pipeline project from December 2014 to the end of next year, Iran’s Mehr News Agency (MNA) reports citing local media. The ISNA news agency quoted Iran’s Deputy Oil Minister for International and Trade Affairs Ali Majedi as saying Friday that Iran had not reached any agreement with Pakistan to push back the project’s completion date. On May 28, senior officials from Pakistan’s Petroleum Ministry said that Iran and Pakistan had postponed the project’s completion date to 2015. The officials claimed that during Prime Minister Nawaz Sharif’s recent visit to Iran, both countries had agreed to extend the project’s deadline by one year. On June 5, 2009, the Inter State Gas System of Pakistan (ISGS) and National Iranian Oil Company (NIOC) signed the Gas Sale Purchase Agreement (GSPA) which envisaged the commencement of the first flow of gas to Pakistan by Dec 31, 2014. Iran invested US$2 billion to construct the pipeline on its side of the border but Pakistan failed to do the same on its side. Iran committed two tranches of US$250 million each to lay Pakistan’s part of the pipeline but recently declined to provide financing saying it was ready to provide gas but not funds.